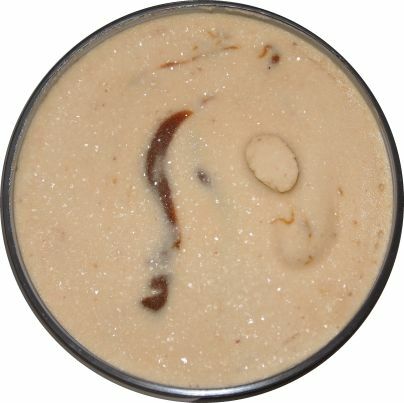 [New for 2013] There's one more free pint from Talenti that I still haven't reviewed. Secrets lay beneath this shy exterior! Now Talenti has made yet another excellent flavor here, and while Nick is our resident Butter Pecan expert, I'm going to take a crack at this one anyway. Hold tight. Look at everything going on! Check out the little swirls of caramel everywhere. I actually got a giant bite of the well done, smooth, buttery caramel on my first scoop, but after that it was all about the caramel mixing with the other flavors. Sure I personally wouldn't have minded a bit more caramel, but this is a butter pecan flavor after all. The caramel is just trying to round out the flavor profile, which as you might suspect, is pretty sweet. Now my biggest fear was that this would be another overly salty butter pecan flavor but it wasn't! Yes, there is still that bit of saltiness, but it's doing it's best to play nice with the other flavors. The pecans? Plentiful and fresh of course. No monster ones here, they're all just average sized. Knowing Talenti, they probably come from specific region at their peak of freshness and flavor, and then sort them out so they are all a similar size. They're meticulous like that. Sure I half expected praline pecans or at least salted pecans, but these are just plain pecans. Nothing crazy here, just quality. The base? pecan-y? Hehehehe. Sorry. It's Talenti excellent and smooth gelato as always, the kind that makes it oh so easy to eat half a pint on the first scooping. This gelato really has a complete flavor profile. It's a bit of saltiness, a bit of caramel, we've got brown sugar and molasses in here, there's eggs, and there's the pecans. It's not hills and valleys of flavors, it's surprisingly consistent. Sure the description says buttery background, but let's be clear that it's that high end, subtle kind of background that Talenti does unlike some other flavors I've tried. So, nice job Talenti. Butter pecans isn't my thing, but like I said, I ate half the pint on my first serving, so that's a pretty ringing endorsement as far as I'm concerned. Yes, this shares characteristics with other butter pecan flavors, but it's the top notch version. On Second Scoop: I managed to make my second scoop a single serving which will leave me with a nice third scooping snack at some point. 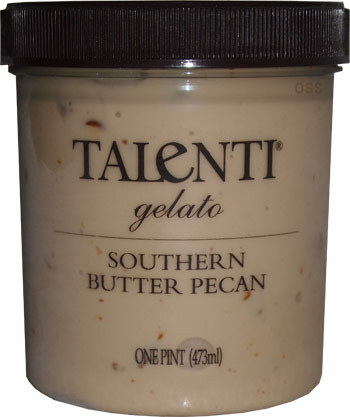 See, the reason I love Talenti so much is that they can take something that I don't really understand (like butter pecan) and turn it in to something I don't want to stop eating. It's just such a nice complex flavor. I don't adore it like I a chocolate and peanut butter combo, but it fascinates me immensely. There's the butter, there is the caramel, there are these pecans that must be dry roasted in some way, and they are all tied together in this wonderful gelato. Nice job. I absolutely love this one. Butter pecan typically isn't my thing either, but this one won me over! As a nutrition conscious eater I appreciate the Nutrition label. Great taste and equal size pecans do not necessarily equal good for you. Thanks for all the hard work! Like you Dubba I don't particularly love butter pecan (I prefer the pb and choc combo) but I couldn't stop eating it! Great job Talenti! Just a heads up, Kroger has a "seasonal sale" going on right now that has Talenti pints for 3.99. Having a caramel cookie crunch now, it's great. $1.99 a pint this week at Shoprite. 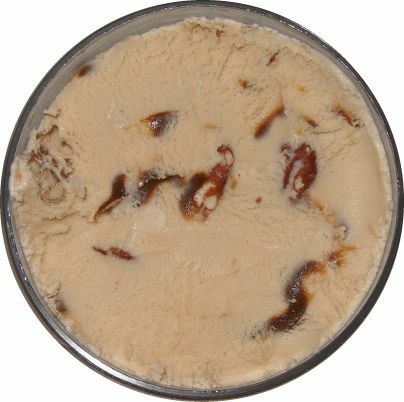 I generally dont like butter pecan ice cream but this one I could'nt put down. Lady working at Shoprite packing the ice creams into the freezers told me it was by far her favorite and that it would "make me a believer". I'm married with children and I'm having a serious 'Love Affair' with the Southern Butter Pecan and I Refuse to give up his smoothness!! !